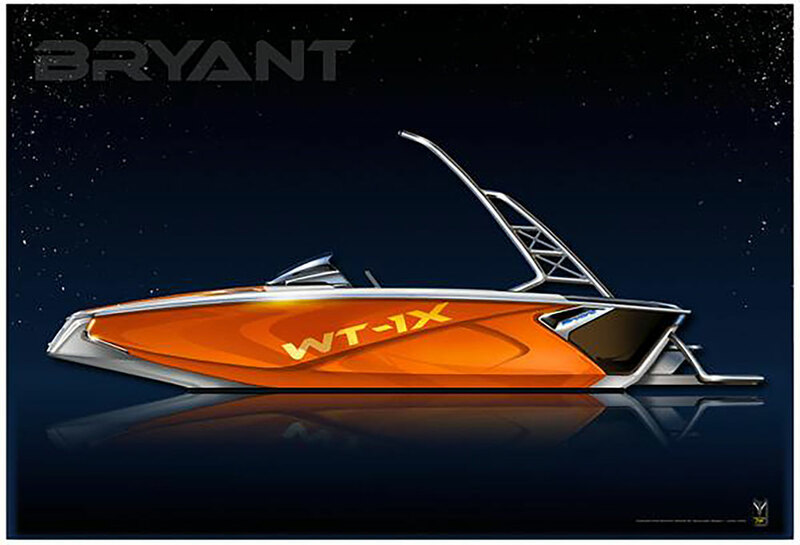 It’s hard to believe how much Bryant packs into its new Speranza runabout. 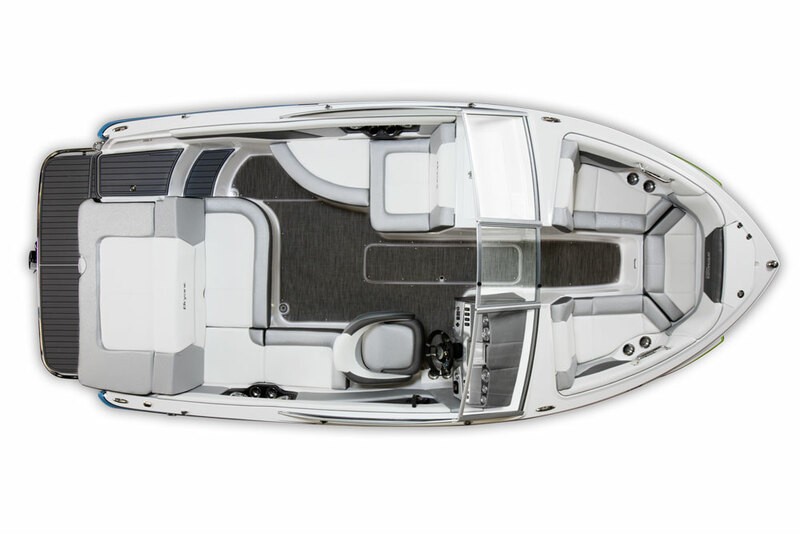 If you look at the overhead shot of the new Bryant Speranza, you might mistake this boat for a 23- or 25-foot bowrider. Just look at all that deck space and the abundance of seating. But, no. The new Speranza isn’t 25 or even 23 feet long. It measures just 21 feet 4 inches in length overall, yet it feels so roomy no one would fault you for thinking it’s larger than it is. Part of that roomy feeling comes from the clever use of a flat-pane windshield and side curtains, which protrude less into the cockpit than a wraparound-style windshield. 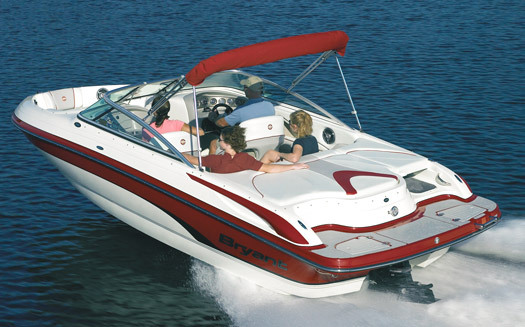 Step aboard and watch our video of this boat, to get a view of the Speranza with your own eyes. 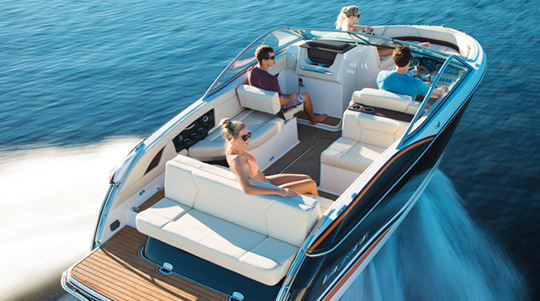 Inside, the Speranza offers large, spacious seating for a 21-footer, yet still provides ample floor space. That’s clever design at work. Bryant devised the cockpit seating so it’s deep on fore- and aft-facing lounges, yet narrower for lounges on which passengers face inward. That simple detail opens up floor space without sacrificing comfort on the seating surfaces used most. The use of deck space in the Speranza isn’t just creative—it’s also smart. The cockpit opens up to a stepped transom walk-through, which is something you don’t usually get on a 21 footer. The platforms are covered in SeaDek foam padding, there’s stowage under the walk-through, and a generous swim platform with horizontal and vertical grab rails. Up front in the bow, lounges are nice and wide, with stowage underneath all the cushions and a fully equipped anchor locker. Bryant also used pull-up cleats and tucked the grab rails inside the bow so as not to spoil the profile. But here’s where the boat’s relatively short length is noticeable. Legroom up front is good, but not great. Save the bow for the kids, and add the playpen-style filler cushion to get the most from that space. Stowage in the cockpit is ample, with wide access to bins under the lounges, which are all nicely-finished positive-molded gelcoat surfaces. No brush-painted bare fiberglass here, and that brings up something that must be noted about any Bryant model: if you take the time to pull up all the cushions, open the hatches and doors, and look in places you wouldn’t normally look, you begin to get a good idea of how a Bryant is put together. All Bryants are hand-laminated and built without any wood. The stringer system is all composite, which means there’s nothing to rot in the event of water intrusion. The wiring and plumbing is all rigged neatly and better than you would expect in a 21-foot runabout. There is a pride of workmanship here and it’s been a Bryant hallmark for years. They’re impressive. 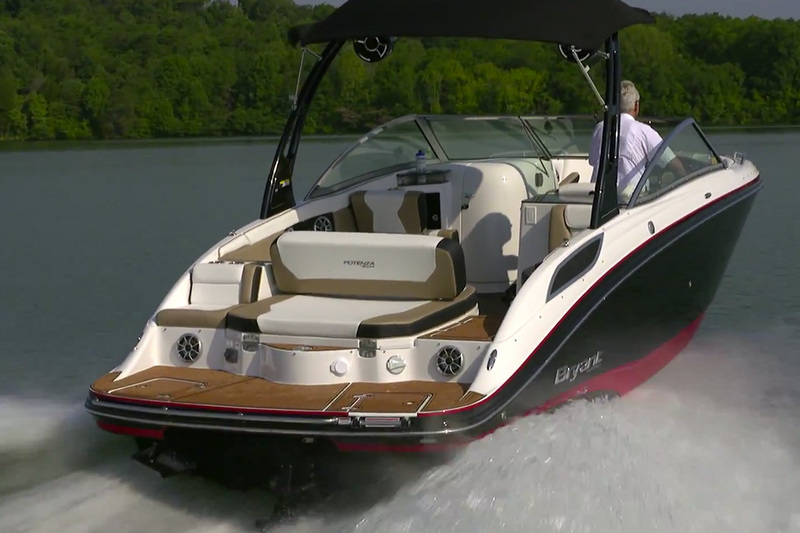 Because the Speranza is a 21-footer, you can get away with smaller engines such as MerCruiser’s 4.3-liter V6 equipped with an Alpha One drive. There are also choices from Volvo Penta, which includes a V6 with the SX or DuoProp drive. You can’t get dual propellers in a MerCruiser unless you get a V8. Whatever power you choose, the Bryant Speranza is a nifty new runabout that punches above its weight and feels larger than it is. 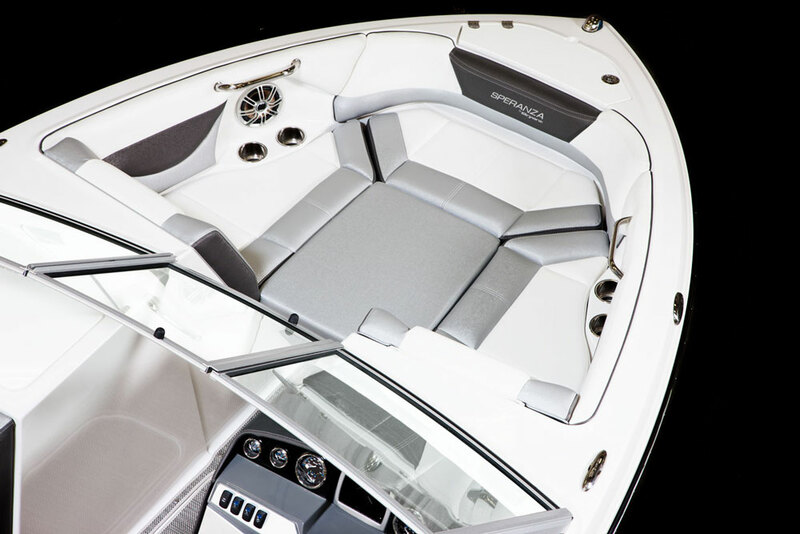 Base MSRP for the Speranza is $57,900, but if you scroll down and click on the link to listings on boats.com, you’ll find them for less. 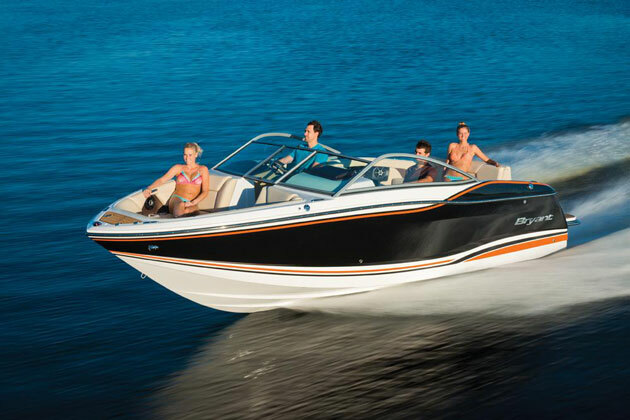 Other Choices: A natural competitor will be the Sea Ray 21 SPX. Same goes for the Larson LSR 2100 and the Cobalt 220. For more information, visit Bryant.